The Hunger Games meets Matched in this thrilling high-concept YA where citizens must prove their worth by killing their Alts—twins raised by other families. You or your Alt? Only one will survive. 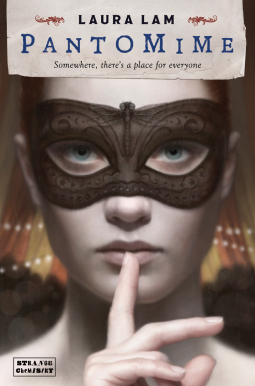 The city of Kersh is a safe haven, but the price of safety is high. West Grayer has trained as a fighter, preparing for the day when her assignment arrives and she will have one month to hunt down and kill her Alt. Survival means advanced schooling, a good job, marriage—life. But then a tragic misstep shakes West's confidence. Stricken with grief and guilt, she's no longer certain that she's the best version of herself, the version worthy of a future. If she is to have any chance of winning, she must stop running not only from her Alt, but also from love . . . though both have the power to destroy her. 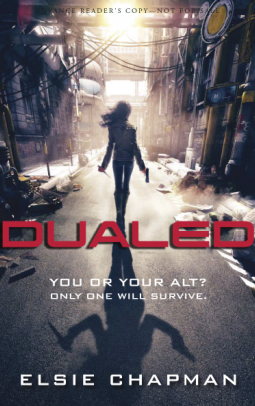 Another dystopian YA novel. I have to admit, I'm glad dystopian fiction is picking back up and we're a little less heavy into vampires right now. This is a different premise. Like the blurb says, there's a Hunger Games-esque quality, in that it's a "kill or be killed" policy for all 10-18 year olds, and you never know when you're number is going to, quite literally, be up. The Matched reference confuses me a little bit, ok. The reader is dropped right into the story. West's world is upended, immediately, and you hit the ground running. And there is only room for a breather when West takes one. She's a really interesting character, living in a future world that should be more like her--interesting. I didn't like (spoiler here, friends) that once West's assignment was given, she ran. Don't give me grief, she did. She ran, and she hid. And you never really get a sense of why. It can't be simply because she wants the best possible opportunity--she'd have to be looking for her Alt for that. I got this sense that she was biding her time until the clock wound down. But wait! A boy helps her to "see the light" and choose to live. Sigh...she's too strong a girl for that. I also felt like the "world" was almost nonexistent. I needed some backstory, or at least, more than I got since it clearly didn't make an impression. Why was dualing with your Alt the accepted social norm? Other than offhand comments/flashbacks, are you ever going to explain why West is alone in this world, as far as family goes? What the heck is a PK? All in all, it felt like an unfinished book. And yes, I get that this is a series and I appreciate that there is no cliffhanger going into book 2. I wanted to like this story, because the premise was sound, but it just didn't have enough cohesiveness and substance to hold it together for me. Disclosure of Material Connection: I received this ebook galley from Randome House BYFR through the netGalley publisher/reader connection program. I was not required to write a positive review. The opinions I have expressed are my own. When Doctor Victor Frankenstein died, he left behind a legacy of horror...as well as two unacknowledged, beautiful twin daughters. 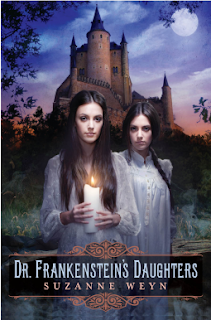 Now these girls are seventeen, and they've come to Frankenstein's castle to claim it as their inheritance. Giselle and Ingrid are twins, but they couldn't be more different. Giselle is a glamorous social climber who plans on turning Frankenstein's castle into a center of high society. Ingrid, meanwhile, is quiet and studious, drawn to the mysterious notebooks her father left behind...and the experiments he went mad trying to perfect. As Giselle prepares for lavish parties and Ingrid finds herself falling for the sullen, wounded naval officer next door, a sinister force begins to take hold in the castle. Nobody's safe as Frankenstein's legacy leads to a twisted, macabre journey of romance and horror. Frankenstein is one of my favorite classic horror novels (Mary Shelley's original version.) Consequently, I'm more than a bit skeptical about ANY novel that extends or retells the story. You'd think I'd learn when Suzanne Weyn is the one wielding the pen. Dark and suspenseful, just like you'd expect of a Frankenstein story. This is an extension story that well-deserves a place next to the original. The two girls, Giselle and Ingrid, made me think more of the characters in the original. Giselle is blissfully unaware of all that's going on in the family's castle, and Ingrid is her father made over--intense and frightening in her resolve to continue her father's research and experiments, all to save the man she loves. The plot moved. And moved and moved. There was just the right measuring of romance and innocence, of mystery and fear, of paranoia and dangerous intensity. My one sticking point is that the ending raced to the finish too quickly, something I do think Weyn does too easily. A great story doesn't have to hurry and end...it just needs to end as well as it began. Disclosure of Material Connection: I received this ebook galley from Scholastic Press/Scholastic Inc. through the netGalley publisher/reader connection program. I was not required to write a positive review. The opinions I have expressed are my own. It is your right to have: food, clothing, shelter and medical attention. Anything else you get is a privilege. Welcome to Alcatraz, the most notorious prison in America. Marty is a young, simple man who dreams of growing tomatoes in the warm sun of Mexico. 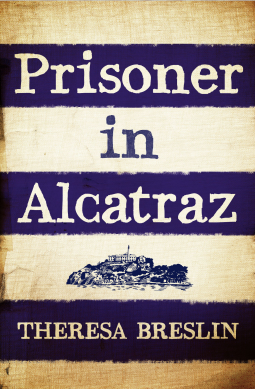 But he gets himself into a bit of trouble when he agrees to help out a friend and ends up in the hardest prison in America: Alcatraz. Marty is sentenced to life, and nobody ever get’s out of Alcatraz. But now there’s a new escape plan – and Marty is the only one that can make it happen. Will Marty break out of Alcatraz – or will life mean life? I had to read this book twice through. I think that, for me, it just moved way too quickly, and left some significant holes in the story. It felt choppy, like it was originally written as a much longer book, but because it was needed in a reluctant reader market, the author cut it down. WAY down. I just worry that it's going to have too many holes to not confuse a reluctant reader. There's also the issue of when this story takes place. Because I'm an avid reader and notice the language queues that give a sense of when something happens, I get that part of the setting. A reluctant reader won't, and some of the language will wind up being confusing. That being said...there are some positives. It was easy to keep up with the basic premise (even with the holes in the story). You could easily tell what was going on with Marty, and pull a lesson from his situation. I think it's this story is a step in the right direction, but I think there's just too much choppiness, leaving a lot to be desired for this educator who works with reluctant readers. Writing high interest-low reading level (Hi-Lo books) is more than just adjusting vocabulary and structure. It still requires crafting a smooth story line. Disclosure of Material Connection: I received this ebook galley from Stoke Books through the netGalley publisher/reader connection program. I was not required to write a positive review. The opinions I have expressed are my own. Over the weekend, I read a couple that I had around, either on the Kindle or in print. Mallory killed her boyfriend, Brian. She can't remember the details of that night but everyone knows it was self-defense, so she isn't charged. But Mallory still feels Brian's presence in her life. Is it all in her head? Or is it something more? 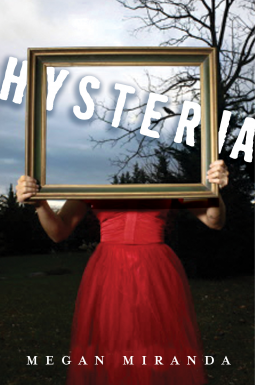 In desperate need of a fresh start, Mallory is sent to Monroe, a fancy prep school where no one knows her . . . or anything about her past. But the feeling follows her, as do her secrets. Then, one of her new classmates turns up dead. As suspicion falls on Mallory, she must find a way to remember the details of both deadly nights so she can prove her innocence-to herself and others. The first line of this book is "My mother hid the knife block." Wow. Six words that I MUST have explained. What an awesome first line. And with Mallory being a completely unreliable narrator...um...wow. Or it should've been. Don't get me wrong, I really did like the story. But I didn't love it. Like the characters, especially Mallory, even when she becomes unlovable (not usually a good thing in a narrator). I liked the whole private prep school setting, and even the weird little paranormal things that seemed to be happening. But so many situations just didn't work for me. I mean...really? You're allowed to return to your high school in a small town after having had your boyfriend die by your hand? Self-defense or not, I'm just not buying that the school would've been excited to get you back. Then, once she gets to the private school and gets settled with a roommate, the room mate is gone and turned against her....does it really happen that fast and with no warning? I don't know. The story was fine, the events worked. I think I just wanted...more. More.. more. I'll put it on the library shelf and recommend it. It's not a glowing review, I know. Disclosure of Material Connection: I received this ebook galley from Bloomsbury USA Children's Books through the netGalley publisher/reader connection program. I was not required to write a positive review. The opinions I have expressed are my own. 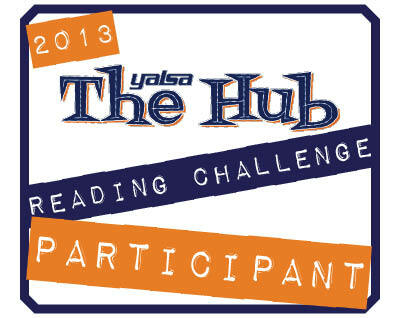 I'm not usually one for reading challenges. Since the point is not only to read, read, read, it's also to document that you did not only read, but you followed the rules. It's the documenting that gets me every time. Every. Time. But, heck, I'll try this one. 1. Every Day, by David Levithan. I think I loved this MORE the second time around than I did when I first reviewed it. LOVE Levithan, and LOVE this book. 2. Friends with Boys, by Faith Erin Hicks. Great graphic novel. Faith Erin Hicks is one of the (few) graphic novelists that I really enjoy. She's awesome. After leaving Uncle Chester's homestead claim, orphan Hattie Brooks throws a lasso around a new dream, even bigger than the Montana sky. She wants to be a reporter, knowing full well that a few pieces published in the Arlington News will not suffice. Real reporters must go to Grand Places, and do Grand Things, like Hattie's hero Nellie Bly. Another girl might be stymied by this, but Hattie has faced down a hungry wolf and stood up to a mob of angry men. Nothing can squash her desire to write for a big city newspaper. A letter and love token from Uncle Chester's old flame in San Francisco fuels that desire and Hattie jumps at the opportunity to get there by working as a seamstress for a traveling acting troupe. This could be her chance to solve the mystery of her "scoundrel" uncle and, in the process, help her learn more about herself. But Hattie must first tell Charlie that she will not join him in Seattle. Even though her heart approves of Charlie's plan for their marriage, her mind fears that saying yes to him would be saying no to herself. Hattie holds her own in the big city, literally pitching her way to a byline, and a career that could be even bigger than Nellie Bly's. But can making headlines compensate for the pain of betrayal and lost love? Hattie must dig deep to find her own true place in the world. Those who fell in love with Hattie in Hattie Big Sky (2006) will love this long--awaited sequel. And picking up this book will leave you feeling like you're visiting a favorite old friend. It's a pleasant story, fulfilling. Though, Larson does leave you with the impression that there could be more to come, but it isn't necessary. Older and wiser, Hattie is still out chasing HER dreams, not someone else's. That, in and of itself, lends this to be a story you share with tweens/young teens. The new characters are so well-described that you quickly form a good mental picture of them as you read. I do feel, however, that maybe it's been a little too long for those who read Hattie when it was first published (7 years ago). She may have missed the return readers, who have now graduated high school. But, Larson will capture the attention of a new generation of readers desperate for good historical fiction after all the vampire/werewolf/witch books of late. Disclosure of Material Connection: I received this ebook galley from Random House Children's Books through the netGalley publisher/reader connection program. I was not required to write a positive review. The opinions I have expressed are my own. R.H. Ragona’s Circus of Magic is the greatest circus of Ellada. Nestled among the glowing blue Penglass - remnants of a mysterious civilisation long gone - are wonders beyond the wildest imagination. It’s a place where anything seems possible, where if you close your eyes you can believe that the magic and knowledge of the vanished Chimeras is still there. It’s a place where anyone can hide. Odd little story here. But deliciously so. This is sort of a historical fiction, sort of a fantasy. I say sort of historical fiction, because it clearly takes place in a less modern time, but it isn't the history we would know--it literally is a different world from ours. The mild fantasy element has to do with "other" beings that no longer exist that were supernatural, at least as compared to the "average" human. Lam's writing is awesome. She weaves beautiful language and a compelling story line together. She spins her story in Spring and Summer chapters--Spring is Gene's life before, and Summer is her life today. The life before explains exactly why she has made the choices she has, and how she struggles with the ones she must make, and the secrets she keeps. I can't give you much more without spoilers, and this book really must be read with a clean slate. I haven't read a book that gives you so very much more than you expect in a very long time. Here's an excerpt from the story. This is apparently set to be a series...thank goodness, because that cliffhanger ending is hard to deal with! Disclosure of Material Connection: I received this ebook galley from Angry Robot through the netGalley publisher/reader connection program. I was not required to write a positive review. The opinions I have expressed are my own.